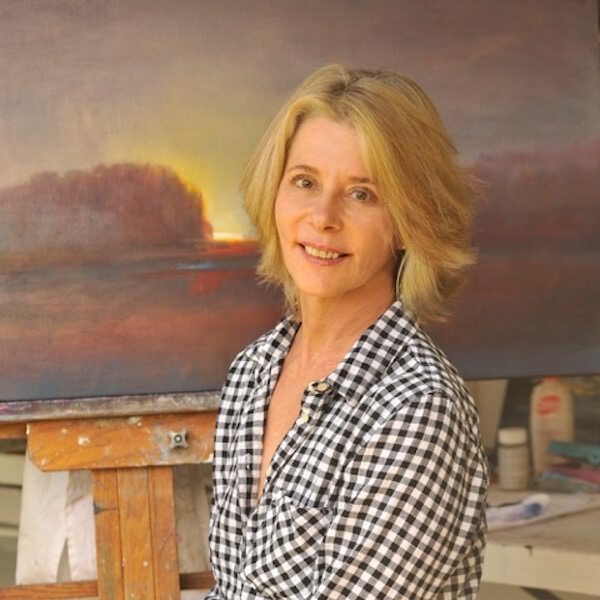 Julie Houck: As a contemporary landscape painter working in oils and encaustics, I aspire to convey not only the scene but also the moment and mood. The moment is fleeting but the painting allows us to live in that moment a bit longer, to linger, to reflect, to contemplate, to enjoy. 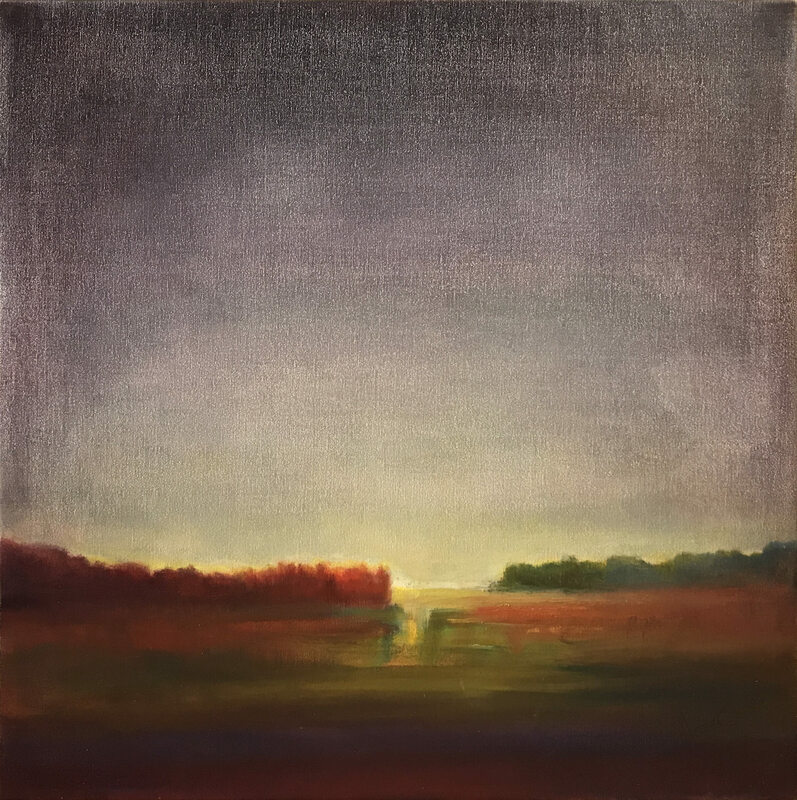 I am inspired by the interplay of light on the landscape, which is ever elusive and always changing. 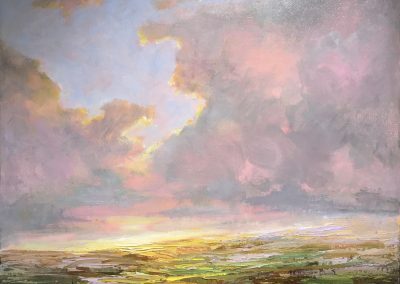 Painting softly allows me the opportunity to recreate that one particular special moment when the land, light and atmosphere seamlessly fuse. 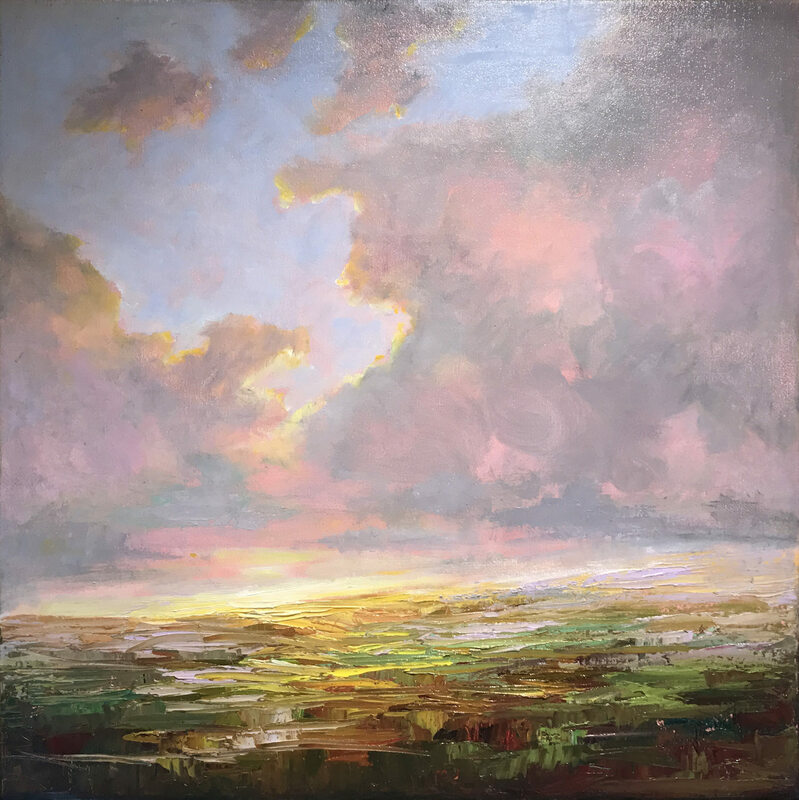 Simultaneously, my work in oils is highly influenced by my early classical training– particularly the study of light on form. Each landscape is painted in transparent layers with sometimes up to 40 layers of paint in order to recreate the subtle play of light on the landscape as well as to control the incremental changes in tonality. As an artist, I approach each painting believing that it is not enough to paint the literal view. 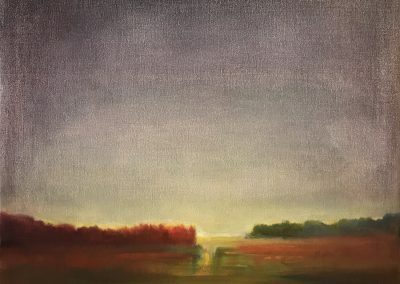 My goal is to also capture the essence of the landscape and hopefully connect you viscerally to that place and time.